I figure we’ll stick to the budget theme this week too. I don’t know about you, but I can spend a ton of money going out to get fancy coffees. It’s nice to go out every once in awhile, but you can make almost anything you’d buy at a coffee chain at home. Here are 5 recipes to get you out of the coffeehouse routine. 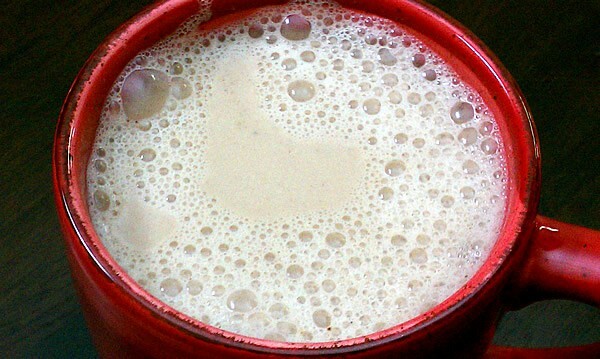 First we have a thick and rich Pumpkin Spice Cashew Creamer with Coconut Sugar that softens the cashews in the slow cooker to make it easy for even the weakest blender to make smooth. You can change up the spices and sweetener to fit your taste. Best of all it doesn’t cost $5 a serving! 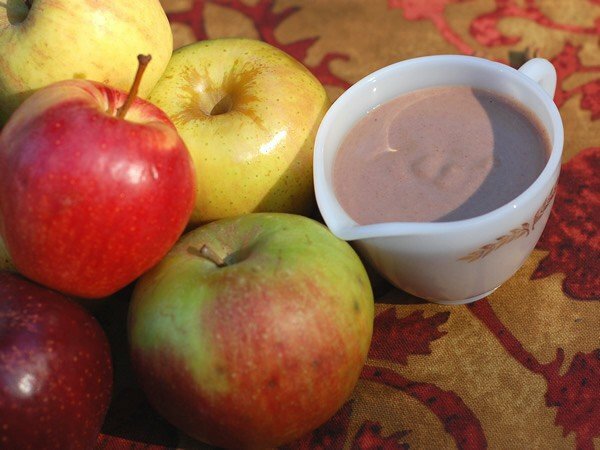 Here’s another creamer that’s good in tea or coffee – Apple Spice Creamer, and it’s sweetened with dates. 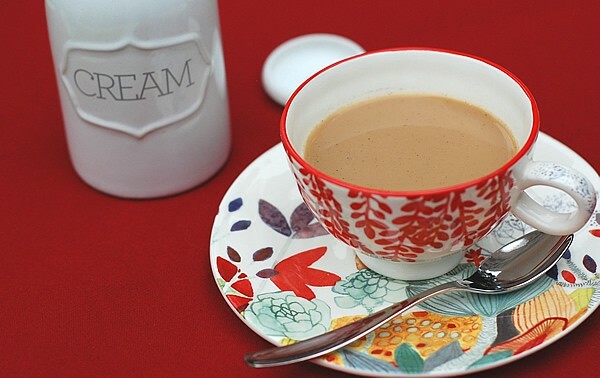 With this Slow Cooker Gingerbread Latte you have your second cup hot and ready to drink as soon as you need it. The molasses really makes it taste like gingerbread. Tipsy Mint-Kahlua Cocoa is my go-to evening drink. If you avoid alcohol you can leave out the Kahlua. Everyone loves a mint cocoa. 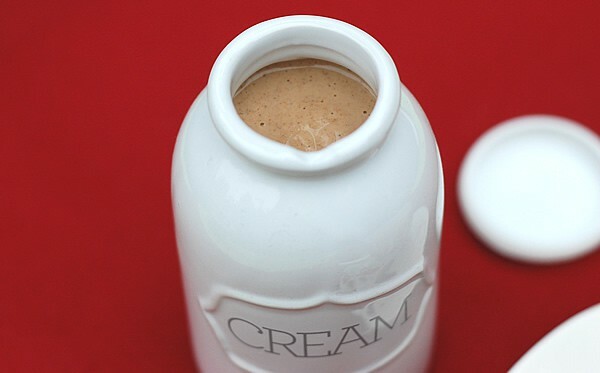 My Guilt-Free Salted Caramel Mocha will warm you up on these crazy cold days. A date-sweetened caramel sauce and a stevia chocolate sauce fits into most New Years Resolutions. 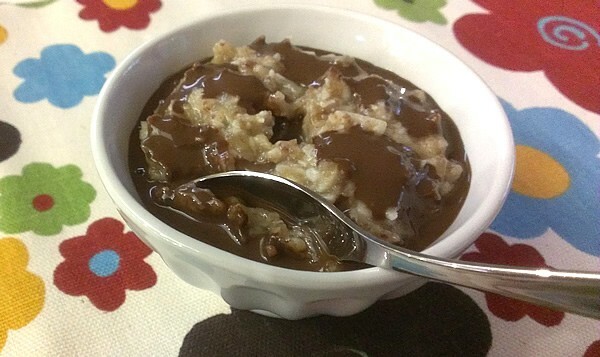 Plus you can use the leftover caramel and syrup in the slow cooker coconut delight oatmeal (pictured below), on vegan ice cream or even in a hot cocoa! « Budget Saving Slow Cooker Staples for the New Year! All of these sound so good – comforting and delicious!